Clear outer container color allows user to visually see foam consumption. Inline and barrel pump options available with state-of-the-art brushless motors and controls to run longer. No additional components required. Provides average cushioning and material recovery. High performance replacement for loose fill, kraft paper, air bags, cellulose wadding or newspaper. Fair protection after multiple drops for medium to heavy products (20-60lb). 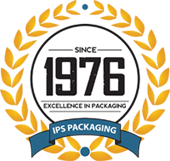 Preferred alternative for all flexible protective packaging. Excellent recovery for fragile or heavy (40-120 lbs.) products after multiple drops. Excellent replacement for all flexible protective packaging. Excellent recovery for fragile or heavy (50-150 lbs.) products after multiple drops. The SmartLUBE is the solution that is used in order to clean and maintain the Foam-In-Place machine parts. We also provide some additional options that will help you further succeed in your packaging agenda. You can choose to mix and match the following foam packaging cushioning. The programmed bagger system that will create continuous foam chambers. Use the foam chamber packaging as a void fill for product cushioning. You can create flat cushions with the SmartCUSHION system. The system is automatic and requires no operator. Don't worry about malfunctions because when a jam occurs a built-in sensor will stop the equipment. This system is perfect for void fill on all sides of a package.